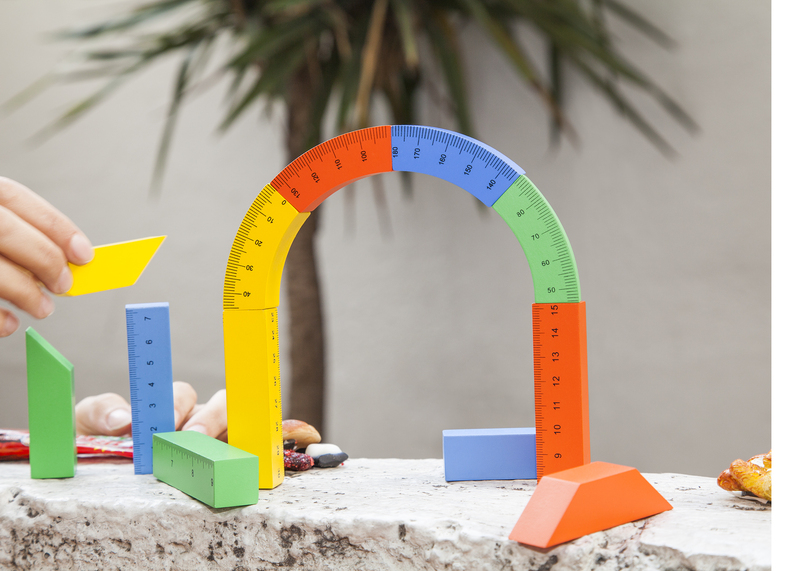 Len Mayer: First I want to congratulate you on Little Architect’s Set (LAS) – an inspiring example of learning through play. 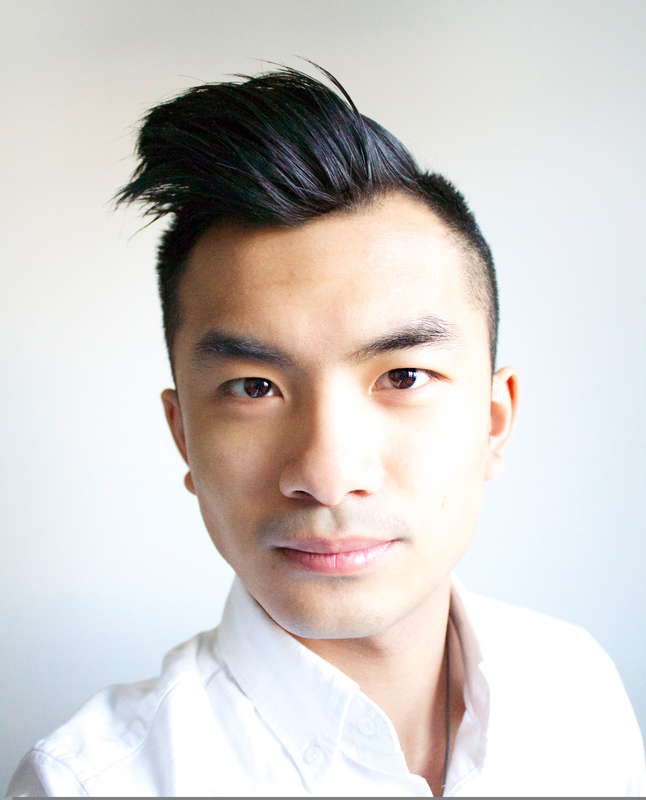 Carlos Ng: Thank you. It’s been pretty exciting for me to see it launch. LM: Could you tell us briefly how your interest in design started? CN: From a very young age I had an interest in drawing, build things and solving problems. I stumbled upon Architecture when I was in middle school and that sort of lead me to finding other design fields such as industrial design. LM: Let’s fast forward, what was your inspiration for LAS? CN: My inspiration actually came from my childhood. When I was in middle school I got really fascinated by the tools used by architects such as the T-square, rulers and drafting tables. I fused that nostalgic memory with my design thinking and wanted to share that same taste of excitement I felt with young aspiring architects. Unpainted and early prototypes. LM: What were the constraints for the project? CN: We were tasked to design an object with a sub-$30 price point that would fit in with the existing Areaware product line. We also were asked to designate a charity to benefit from it's sale. LM: What were the hurdles you encountered as you prepared your final design for production and what were the significant learning moments? CN: During the final design process I really wanted to get the design details just right from the level of tactility and force of the magnets embedded in the blocks to the choice of color to evoke the level of play and joy I had envisioned. LM: How does it feel to already have a product in the market so soon after graduating? CN: It feels pretty surreal to me because I would’ve never thought something I designed that was personal to me could be shared amongst many others. LM: Do you envision expanding this line or exploring other categories so as to demystify the world of applied arts for the younger audience? CN: Definitely, I’ve always had a passion to design something that brings a sense of fulfillment or satisfaction to an audience of any age. 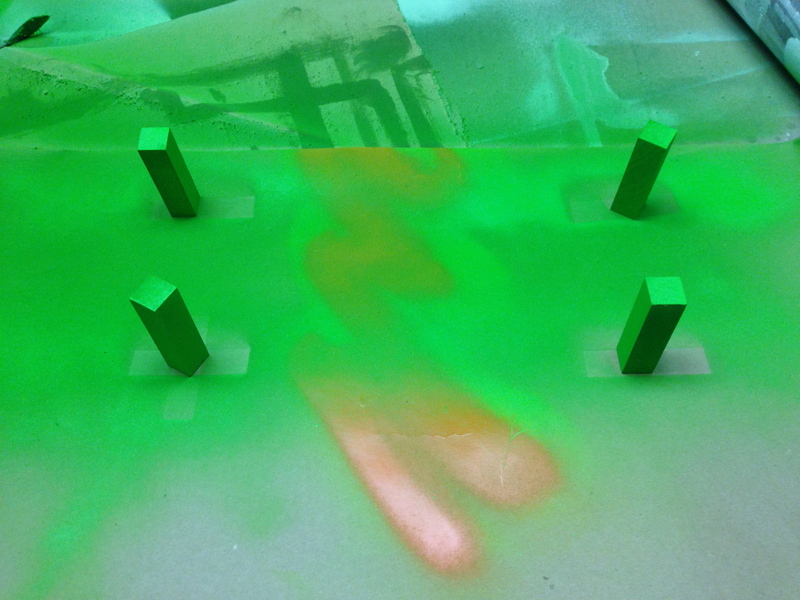 Spray painting the ruler prototypes. LM: Do you work best alone or collaboratively? CN: The way I see it, working alone brings out one's own perspective and allows a more personal level of connection to your work which can be great. Having many more individuals involved will inevitably add perspective and design thinking to the process, creating something even more magnifying. LM: What excites you about the state of design today? CN: Design today is moving very quickly and always has a certain bite and spark either through its simplicity or complexity. It’s great to see such diverse designs that come about because it adds more depth to each individual’s library of inspirations. LM: Who and what have been significant influences on your design vision? CN: From the beginning of my design career, I would say the era of streamline design has always been a huge influence. The moment I learned about streamline design, everything inside me clicked. LM: Can you describe your particular design sensibilities? CN: Form follows function or a modern take on streamlined design. LM: What global and/or local events influence your design thinking? CN: Universal design has always been on the top surface of my design thinking. Having a design created to fit for all is what I strive for. LM: As we have learned, you have been interested in the field of architecture early on. 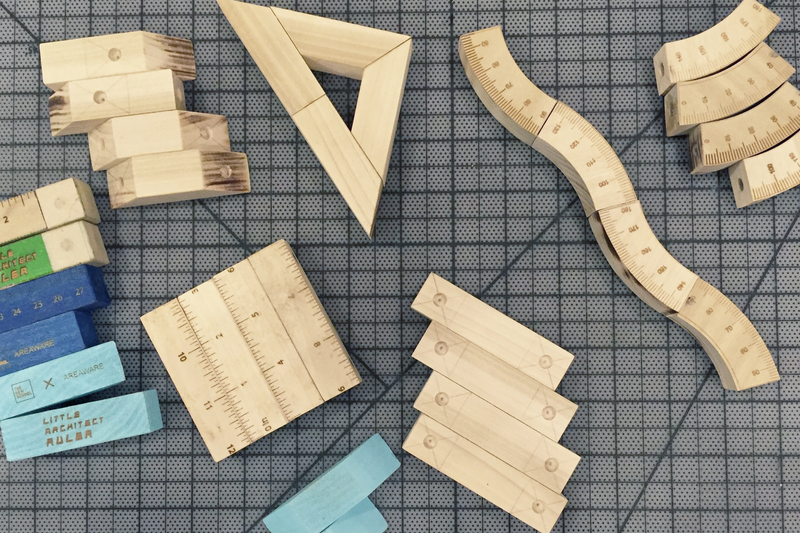 If you had the choice to choose another major in the field of design, what would that be? CN: I would have to say automotive design because the way I see it, the vehicle itself is not just a means of functionality but acts as a totem of inspirations containing a blend of values from architecture, interior design, fashion, product/industrial design and even graphic design. To create something that contains multiple design practices sounds pretty magnificent to me. LM: On your free time, other than working on a new design project, what would you be doing? CN: On my free time, I’d like to go make a great cup of coffee, take a strum on the guitar, loosen my fingers on the piano or maybe head outdoors to relax and play some basketball or tennis with my buddies. LM: Thank you for doing this interview. CN: My pleasure. Thank you. 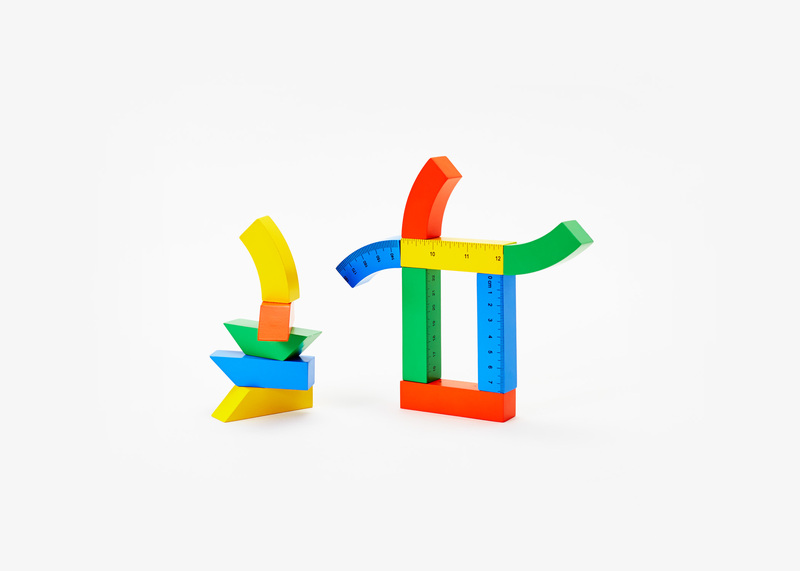 The Little Architect Set was developed as part of our collaboration with Parsons School of Design; 2% of the proceeds will be donated to Architecture for Humanity NY.